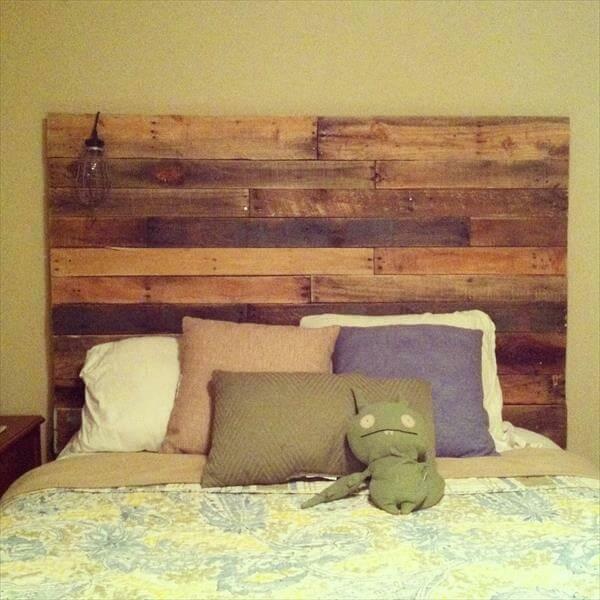 Create your own DIY pallet headboard and give character to your whole room. 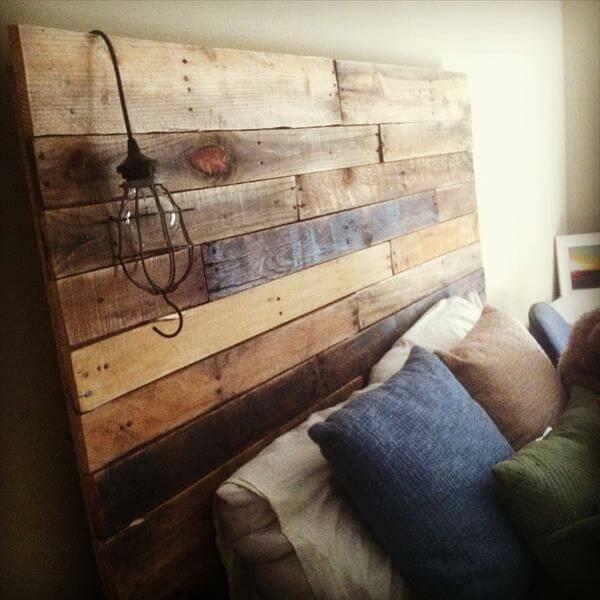 This pallet headboard is upcycled using reclaimed shipping pallet and it is sturdy. The headboard uses many slats mixed and matched to give a countryside look. Sanded lightly, the slats have different stains used on them to give that shabby yet trendy look. Add a cast iron pendant lamp on the headboard to complete the barn aura of the bed. The best part about having a pallet headboard is the possibilities of matching all types of colors and patterns without destroying the combination look.